On the afternoon of January 9th, the party secretary of Jining City People’s Congress Standing Committee, first deputy director Zhou Hong, Municipal Committee, Party Secretary of the High-tech Zone Bai Shan, researcher of Municipal Commission of Economy and Information Technology, director of the provincial information technology industry Wang Youbing, vice secretary of High-tech Zone Party Working Committee Yin Feng, director of High-tech Zone Party and Government Office Dong Zhen, general manager of Jining Unicom Company Meng, visited Shandong China Transport Group for research, Chairman and general manager of China Transport Group Quqing,executive vice general manager Hanyong, vice general managers Li Zhenbo, Sun Shijun, Li Zhaopeng and other leaders accompanied reception. Accompanied by the Group managers Qu and Han, director Zhou and other leaders visited China Transport Group e-commerce technology building, e-commerce companies, cross-border e-commerce companies, network information company, software technology company, Weixin agricultural technology company, Kate robot Intelligent Company, Intelligent terminal equipment exhibition hall ect. And watched the on-site demonstrations of high-tech UAV and intelligent robots that independently researched and developed by our Group. Director Zhou also personally experienced the latest research and development of our group 9D VR rotatable egg shell seat, and gave a high degree of evaluation. 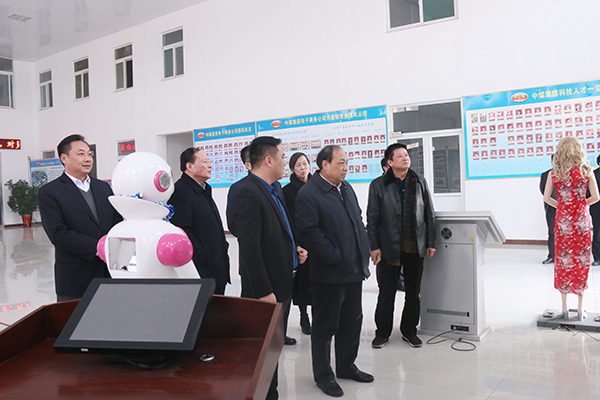 During the visit, managers Qu made a detailed report to the visiting leaders on the overall development of China Transport Group information industry in recent years, and highlighted the Group active exploration and efforts in the field of e-commerce, enterprise informatization and intelligent terminal manufacturing. Director Zhou and other visiting leaders highly recognized the outstanding achievements of our group in transforming traditional manufacturing enterprise into the key enterprisw of modern information industry and expressed unanimous recognition to our Group's global development strategy of insisting on omnidirectional, diversified and multi-fields. 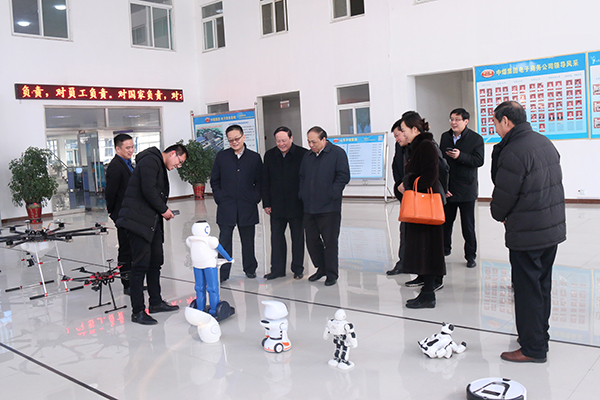 During the visit, director Zhou pointed out that China Transport Group relied on "Internet + machinery manufacturing integration", big data, cloud computing and other cutting-edge information technology, continued to exploration and innovation in the transformation and development of enterprises, adhered to multi-sectoral, multi-field, high-level advanced development model, and made outstanding achievements in the e-commerce, cross-border e-commerce, intelligent terminal manufacturing, big data, cloud computing and other industries, became the benchmark of adhering to the scientific development and leading enterprise of the city and the province, and made a successful transition model for the city's industrial enterprises. It was necessary to take the China Transport Group E-commerce Industrial Park as the base for the city's enterprises to study and observe, and give full play to the exemplary role of China Transport Group, then promote the successful transformation of the experience of China Coal to the city, the province and the country. Director Zhou and other visiting leaders also detaily asked about the operation of the China Transport Group e-commerce technology building, and gave a high degree of praise for the development and achievements of our group when they heard that China Transport Group E-commerce Industrial Park would settle 50 companies and solve the employment of more than 2000 people. Director Zhou stressed that, as the MIIT e-commerce model enterprise and China's cross-border e-commerce talent training base, China Transport Group must play a positive leading role to do well in the construction of e-commerce training base, promote the China Transport Group's advanced business philosophy and e-commerce development experience through Jining MIIT vocational training school, and take the government guidance, corporate training, then guide more enterprises to embark on the road of e-commerce development for the city's industrial transformation and development to make more positive contribution! Manager Qu expressed his thanks to director Zhou and other leaders for their long-term support for the development of China Transport Group, and thanked the leaders for their high recognition and encouragement of China Transport Group's development achievements. We must take the lead role in exploring the Internet + diversification enterprise e-commerce development of the new path, and towards the technology, information technology, intelligent direction of the rapid forward, to better lead and drive the city, Shandong Province and the national industrial economy rapid take-off!